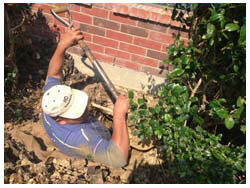 The Coppell Foundation Repair Contractors At HD Foundations Protect Houses And End Problems. For Coppell foundation repair company service, contact HD Foundations. We’re contractors that perform free inspections. If you see any indications of foundation trouble, learn more about our foundation repair service. It will protect your Coppell house from structural foundation damage. So ask us to perform a free foundation evaluation today. Homeowners commonly have foundation issues. At HD Foundations, we stop problems by lifting your house and making repairs that will stabilize it. We look for signs of foundation problems in pier and beam houses and concrete slabs. As experienced commercial and residential foundation repair contractors in Coppell, we end foundation cracks and perform expert house leveling services. We do this by installing interior and exterior foundation piers. Why Have HD Contractors Perform A Foundation Repair Inspection? Your foundation should be inspected for the following reasons: (1) Soil expansion and contraction around your foundation can cause serious fractures in exterior brick, walls and ceilings. They also contribute to foundation cracks. (2) Heavy rain or extremely dry weather conditions can cause foundation trouble, including wet crawlspaces under pier and beam houses. Because that’s common in Coppell, it pays to get a lifetime foundation repair warranty. (3) Under slab plumbing leaks are complications that can lead to cracking and foundation upheaval. 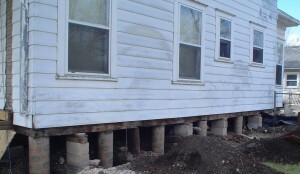 If your property requires restoration, ask HD Foundations to install steel piers or pressed concrete foundation piers. We’re a qualified Coppell company with an A+ Better Business Bureau rating. To protect your structure, have your foundation evaluated. Whether you have issues affecting your commercial property, apartment or house, get a Coppell foundation repair estimate free by scheduling it online today. If you foundation piers are needed, we’ll install them correctly.